You can likely see the influence of the classical artists on my work. 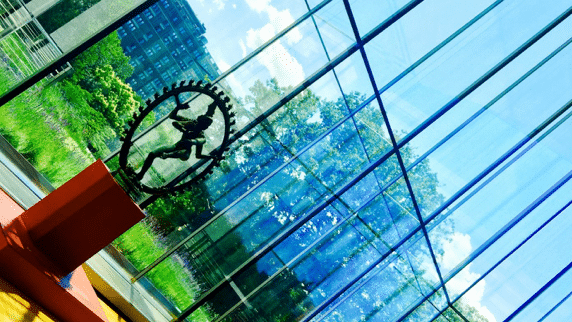 Several days a year are spent going to art museums in cities we visit. I have been to so many you will likely be stunned at the following statement. 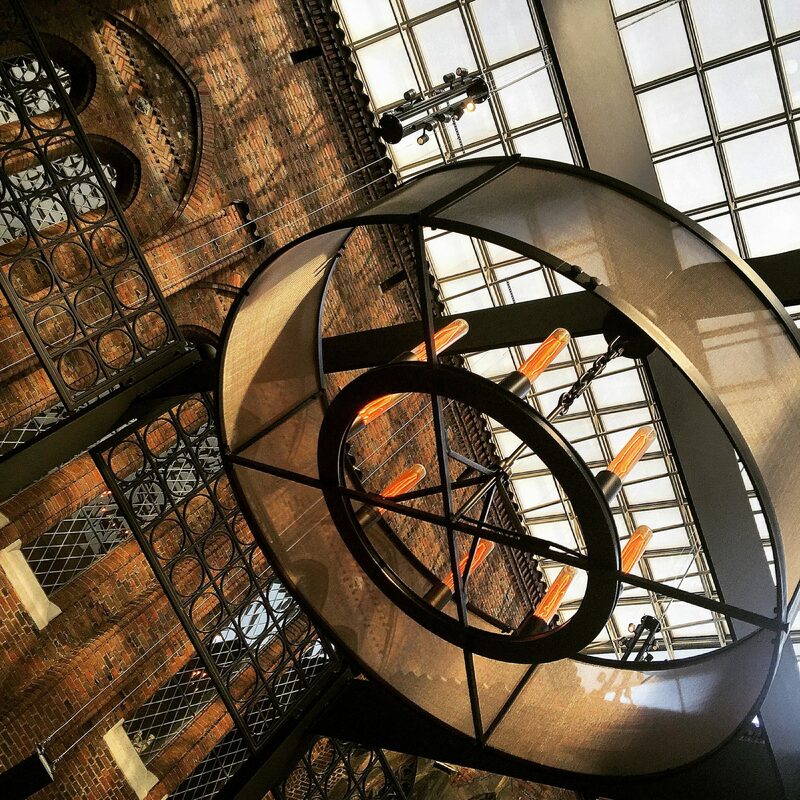 Northwest Ohio is one of the best places to live if you love art. By far the best organized of the three museums when it comes to laying out the different eras of art. They provide an outstanding area where they teach how to appreciate art, which is exactly what I am writing about here. Easily the most beautiful of all the campuses with the Natural History Museum nearby as well as Severance Hall where the Cleveland Orchestra is based (also oddly might be one of the best orchestras in the country.) Cleveland does house and expansive collection of the impressionists (think Monet) and has really beautiful modern architecture to house the art. Art Museums are always proud of their most popular artwork. They print those pieces on postcards in the gift shop. Go straight to the gift shop at the art museum and see what postcards are there. Purchase several for the kids. As they go around the museum have them see if they can find those pieces. When they do, give them a pen to write down the most important thing that is on the plate next to the art. Be sure to take their picture with the art to signify an accomplishment as well as to reemphasize that you are on a mission. This provides them with a souvenir and saves you from having to buy some expensive kids game from the gift shop….maybe. Have the kids sit and sketch or draw one of their favorite pieces of art. Nearly every art museum I have been to has little fold up chairs that you can carry around and put down to sit and look at the art. Surprisingly most people spend an average of 20 seconds in front of each piece and it really takes time to look at an appreciate what the artist is doing. For you, it will be a welcome rest break and gives the kids something to do. You can take standard pencils or even give the colored pencils to work with. Stop somewhere and buy a special sketch book to reemphasize the importance of the drawings. The Cleveland Museum of Art has a purse line in their gift shop that is absolutely stunning. Extremely high end but worth seeing even if you don’t regularly buy $400 purses. The glass pavilion in Toledo often has glass blowing demonstrations. The ovens, which are never turned off, are a great source of heat if you ever visit in the winter. 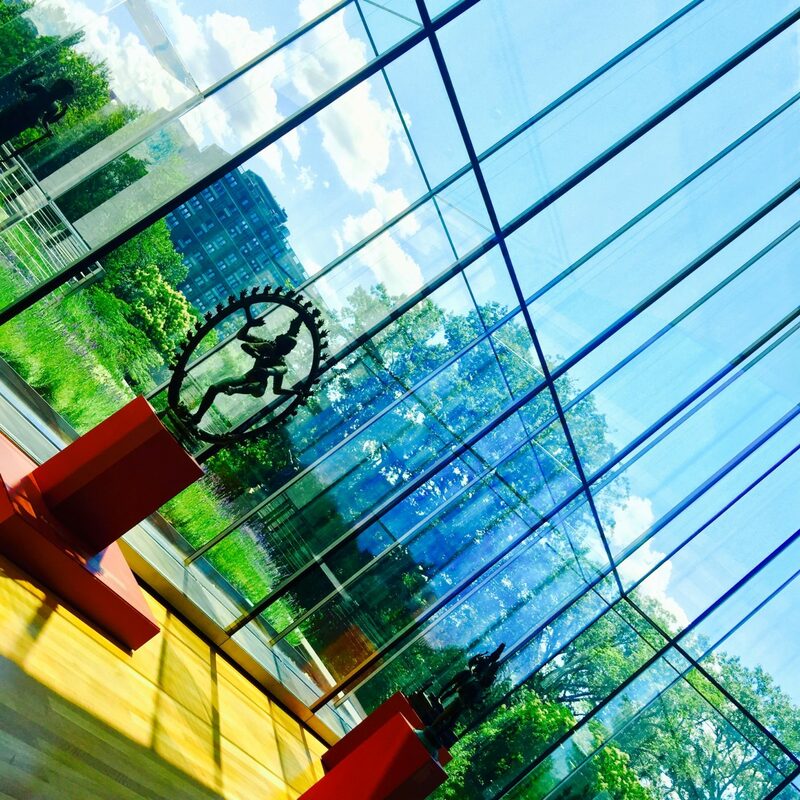 Don’t miss all the museum’s sculpture gardens, which are outside. I think Toledo has the best collection. This is a tough one. I do love the brush strokes of Signac’s work, but John Singer Sargeant who was a painter for so many wealthy Americans including the Vanderbilt’s of Biltmore Estate fame painted a piece entitled The Daughters of Edward Darley Boit. 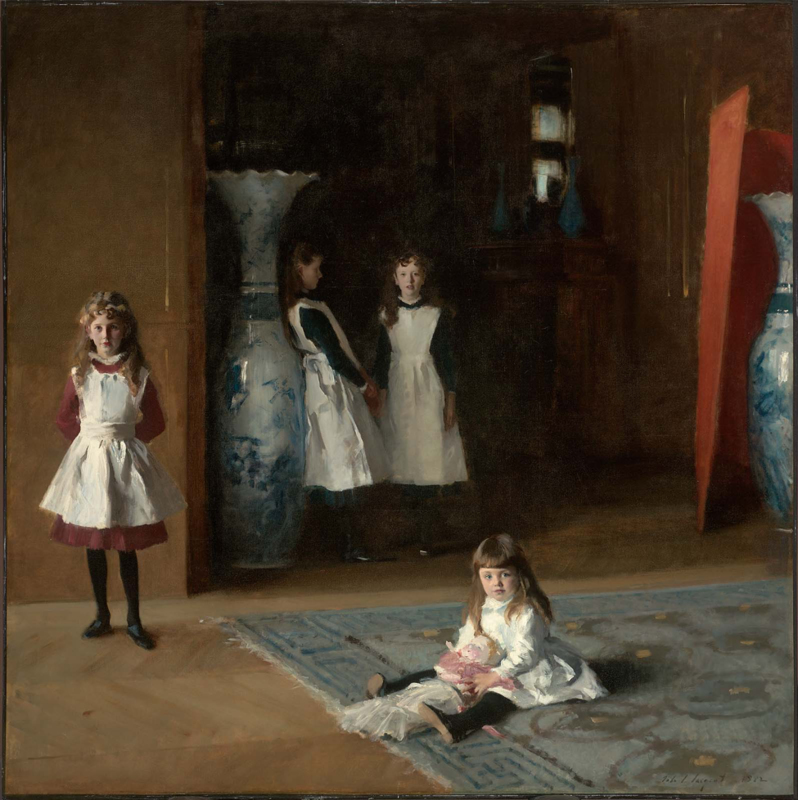 This painting seemingly captures each child’s personality so well. My goal always in creating art is the same. I want each piece to allow the heart of the child to show forth. Sargeant seemed to have such a mastery of control in how he used brush strokes to create detail in clothing with an impressionistic like feel. 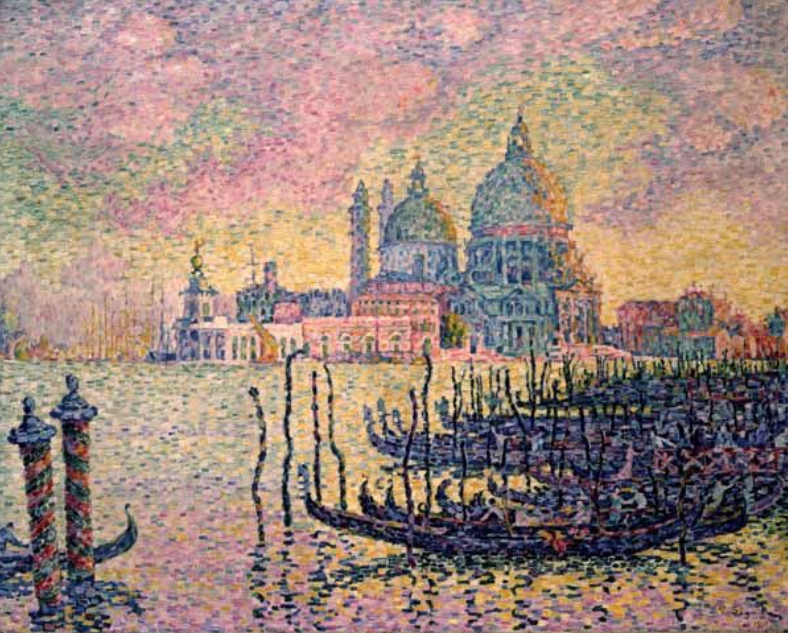 Signac’s work is one that fascinates me because of how use uses a unique brush stroke that at times consists of one color but sometimes is a blend of colors. The strokes are pretty much the same but put together become and image. 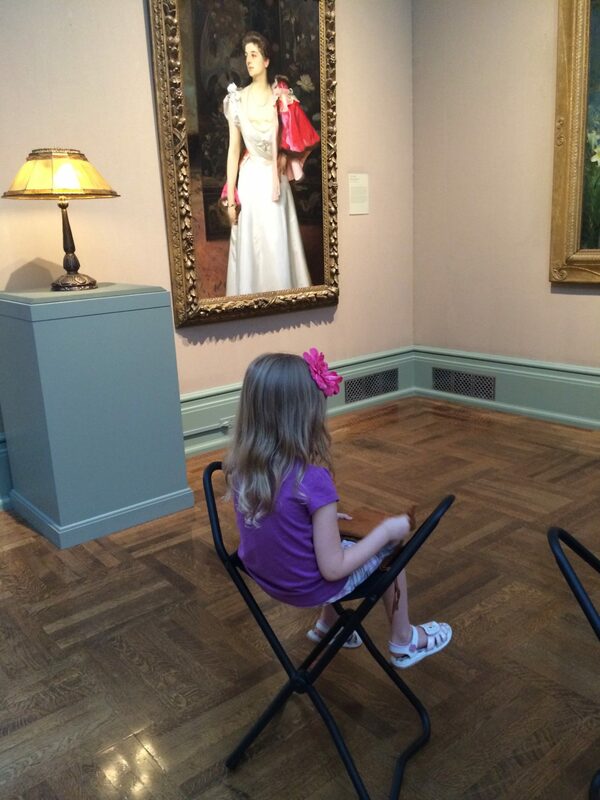 Here is my daughter admiring one of Sargent’s best pieces from the region Princess Demidoff. 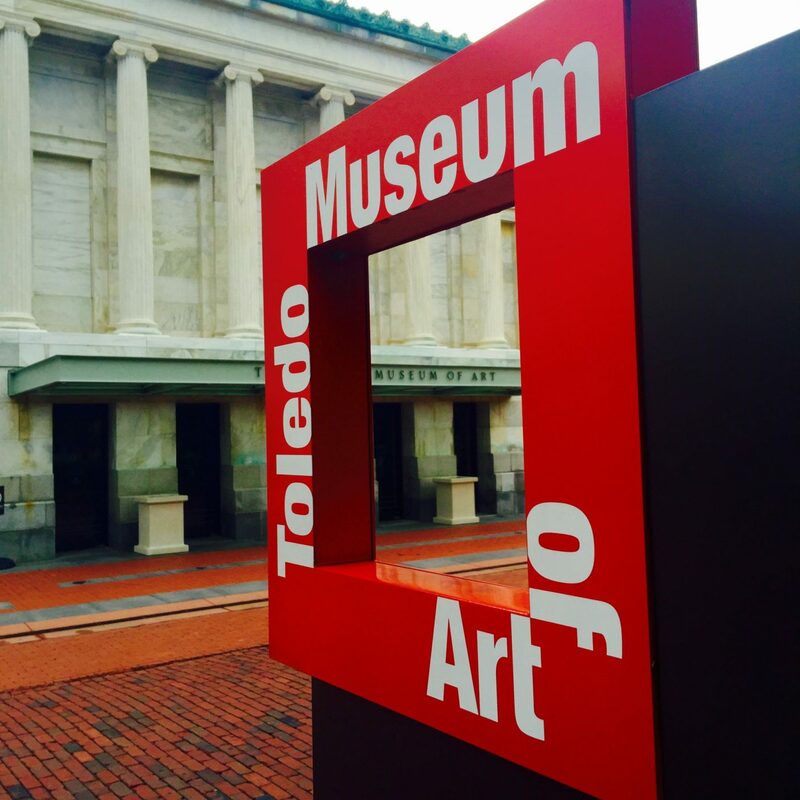 It can be found on display at the Toledo Museum of Art.